Every once in a while, we get an exciting Target launch that gets us antsy. For me, the last one was the Magnolia capsule titled Hearth & Hand, of which I took full advantage of for Christmas decor! But now, with @LittleMrGray to shop for - a new collection is coming up that I'm actually looking forward to! 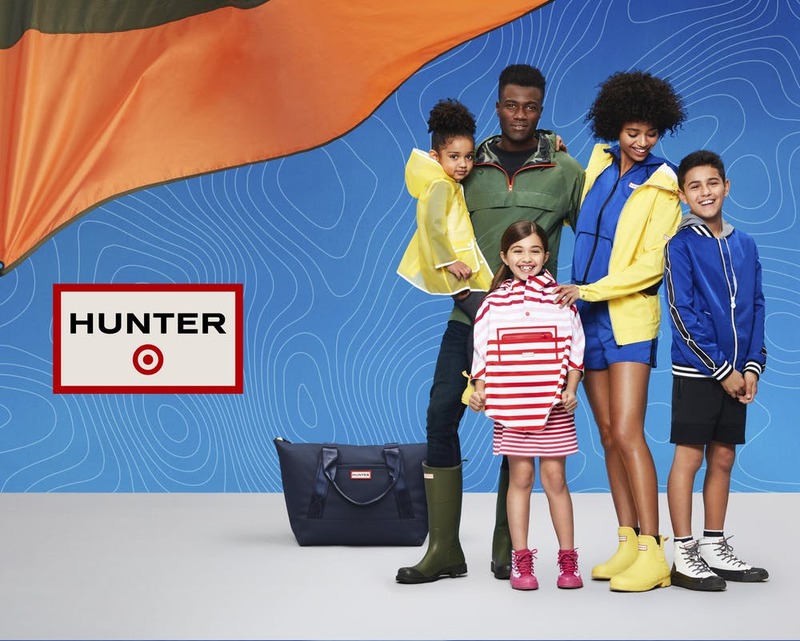 Hunter - the iconic British rain boot brand, is joining forces with the bullseye mecca for a collaboration that will make the entire family happy! Officially named “Hunter for Target” will include raincoats, weekender duffles, coordinated attire for your minis and your bae, and yes - there will be boots, for everyone but your cat and dog! The best part, most of the pieces will be priced at under $30! April 14th is the grand launch date for the collection. REDCard members will have early access on April 7th via Target.com, and as usual - the collab will be limited edition. Happy Spring!